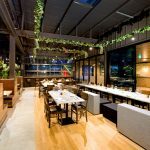 Over the last couple of years the casual dining scene has certainly evolved into a complete dining experience. 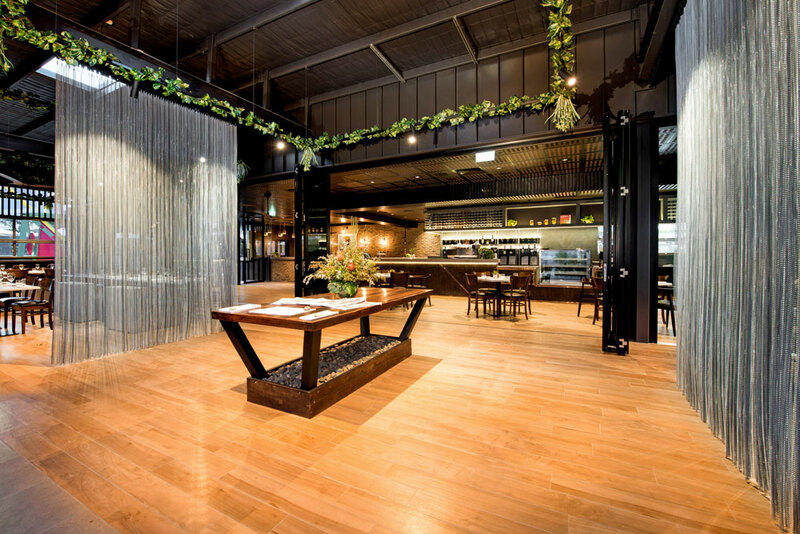 Tumbling Stone provides patrons with a relaxing escape from the hustle and bustle of the city. 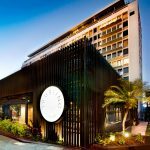 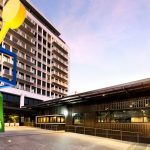 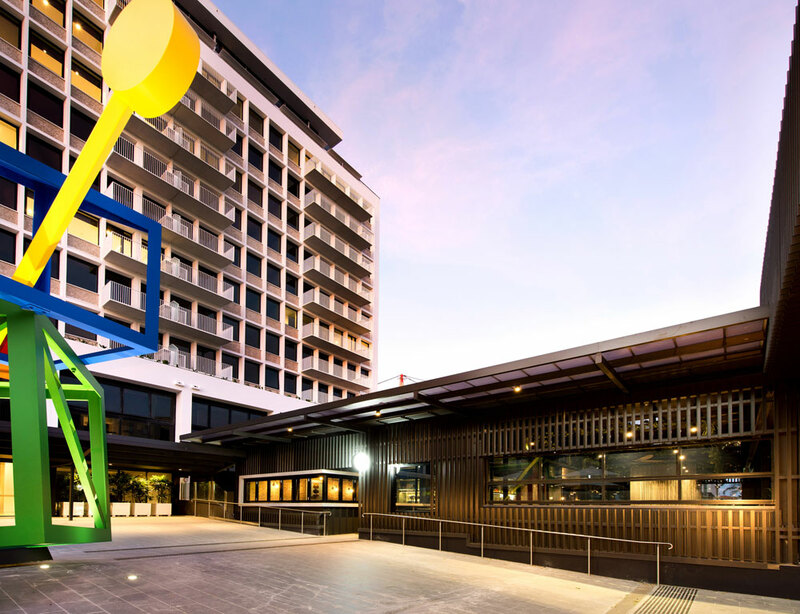 The project was run in conjunction with the construction of the Johnson Hotel & Apartments which provided challenges that only busy inner city construction sites can. 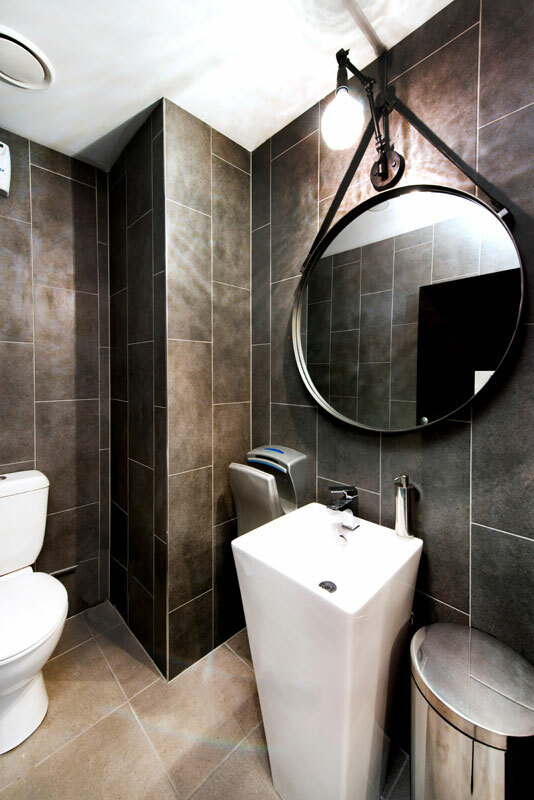 It required precision project planning both on site for trades as well as deliveries and the like. 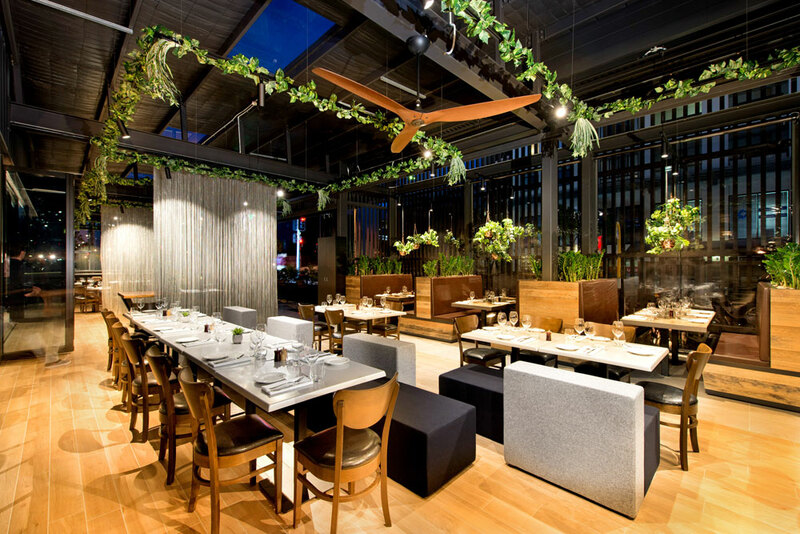 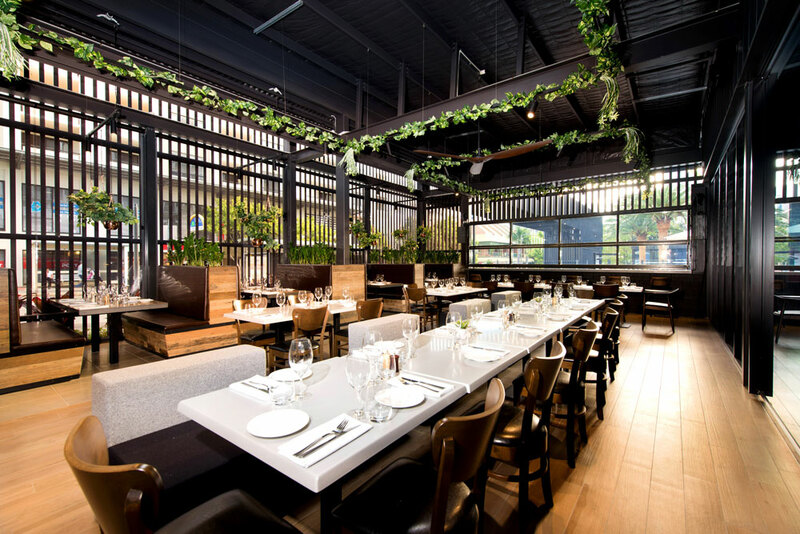 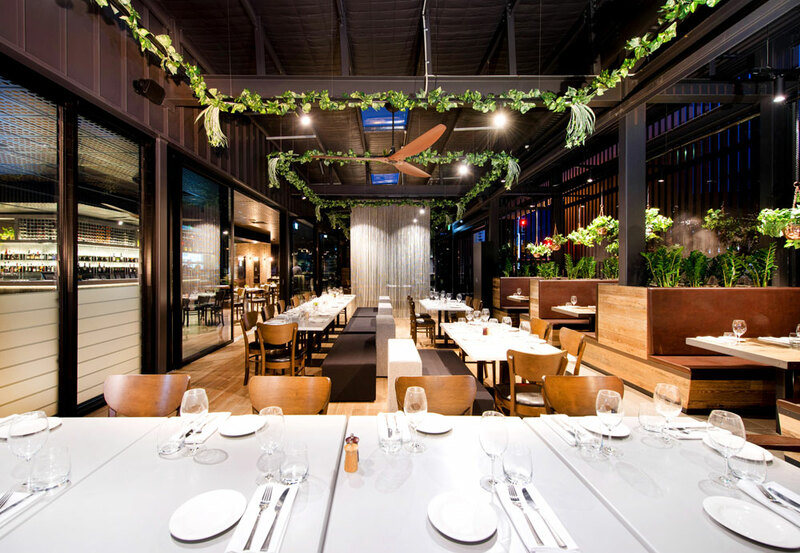 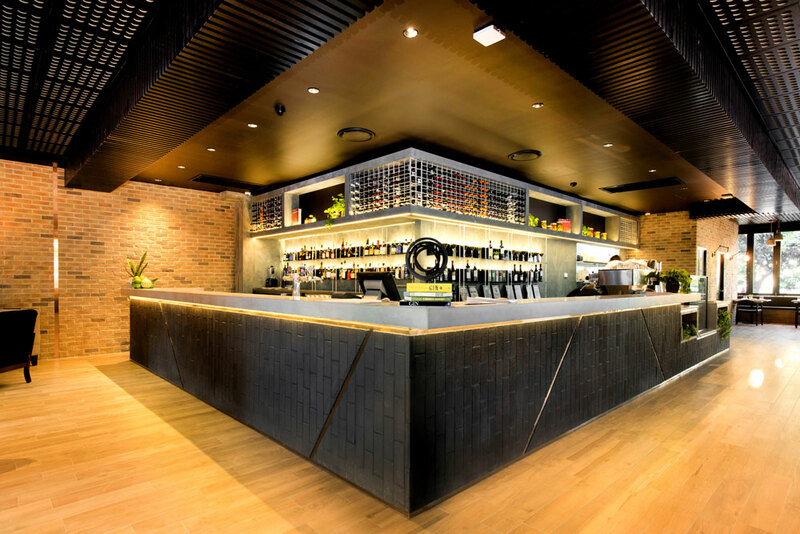 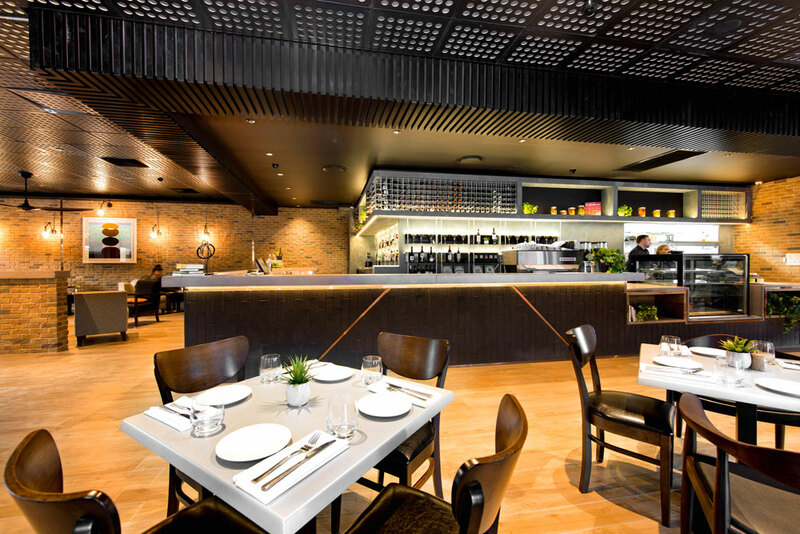 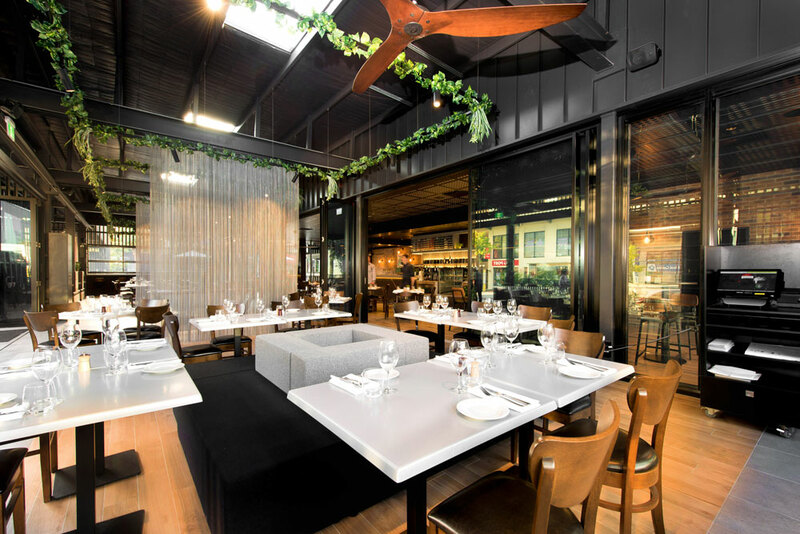 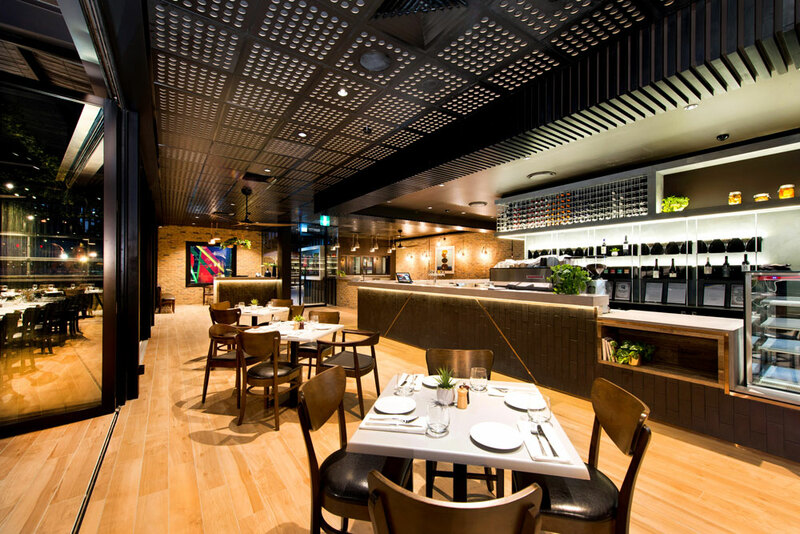 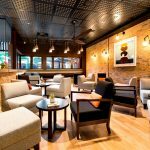 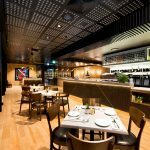 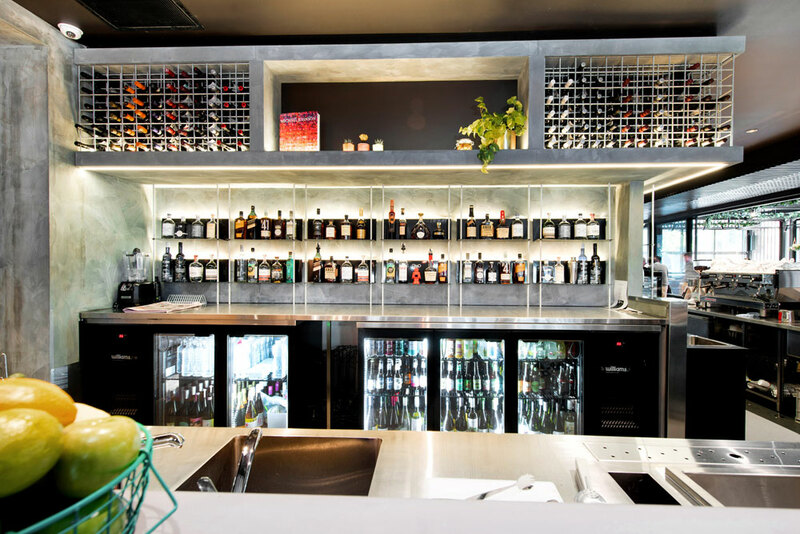 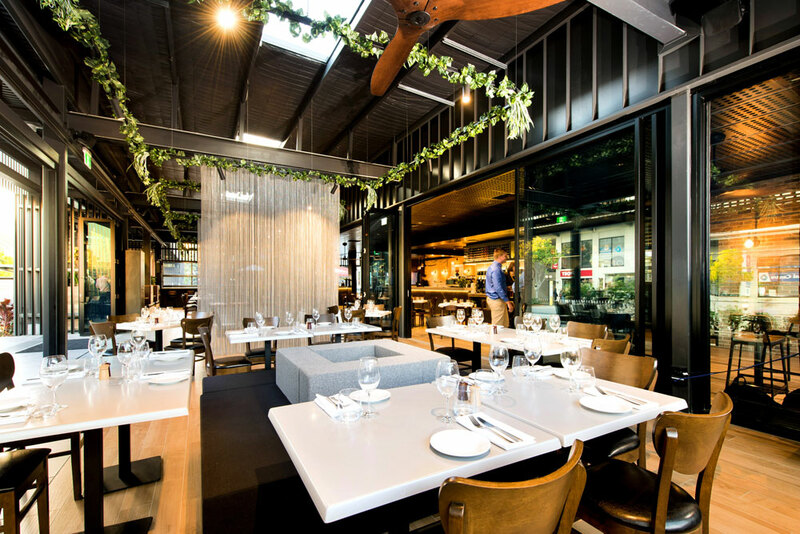 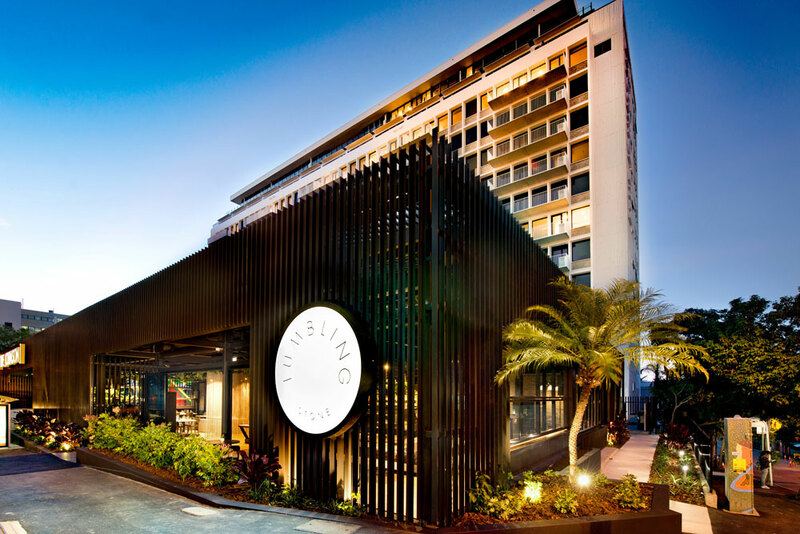 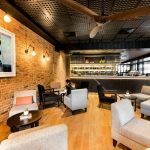 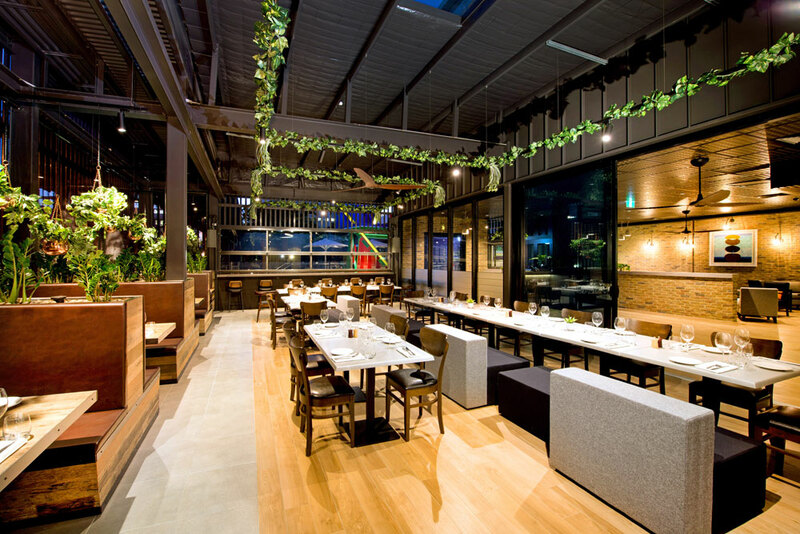 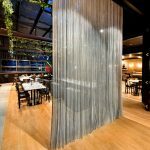 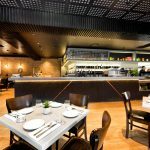 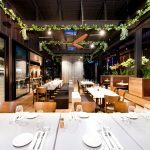 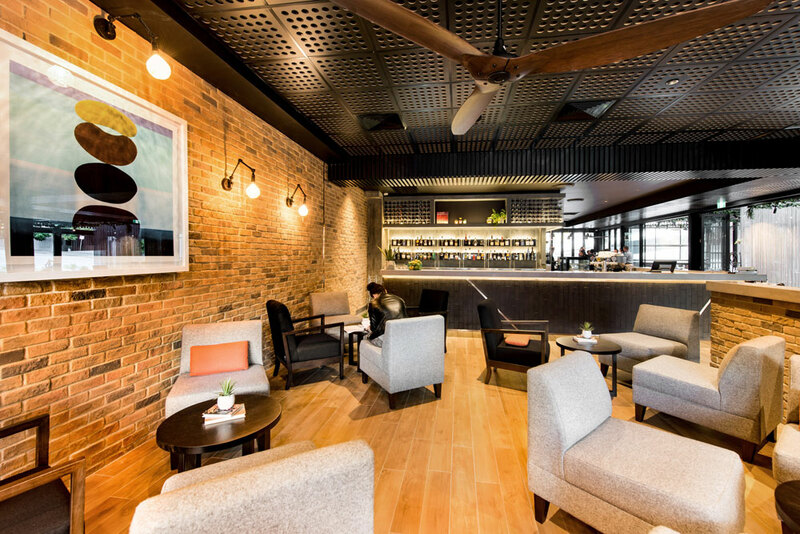 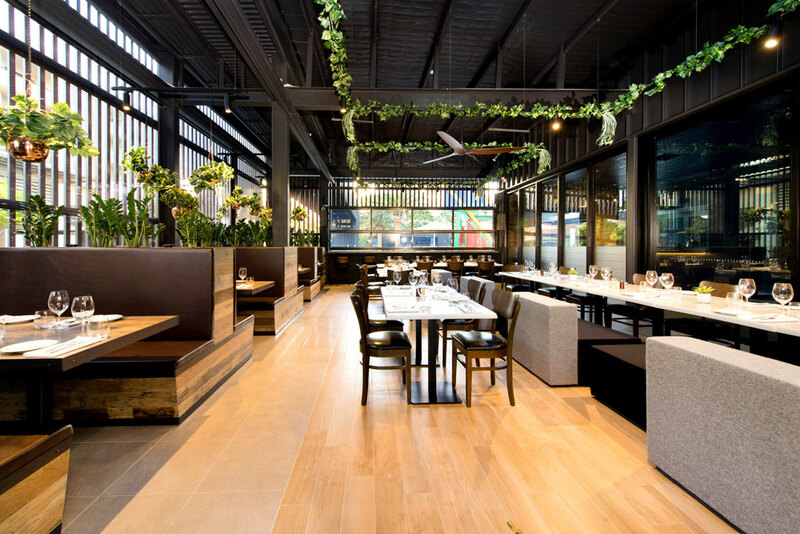 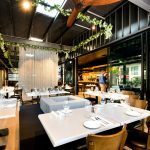 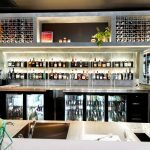 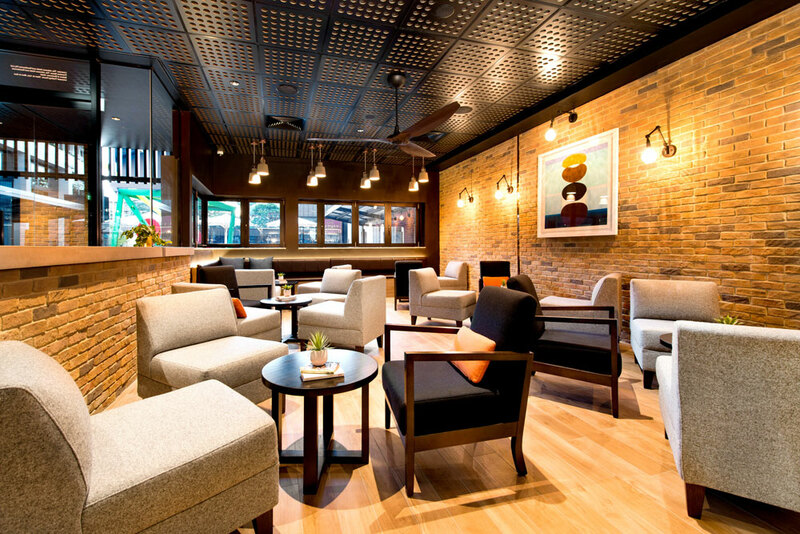 This project saw Aussie Fitouts build a restaurant incorporating both inside and alfresco dining areas. 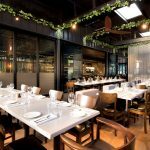 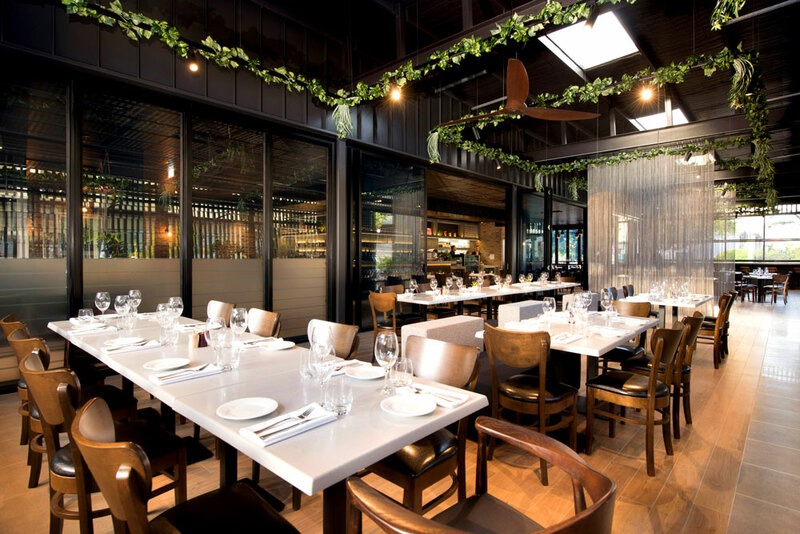 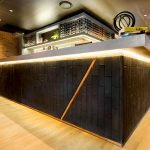 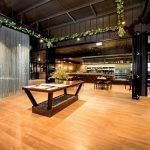 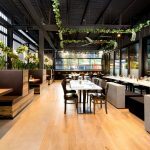 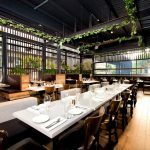 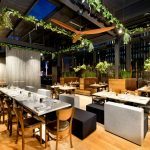 It showcases an amalgamation of industrial and natural elements, classic recycled timbers, extensive steel works, flowing timber look tile floors, large bi-fold doors, decorative acoustic ceiling panels, all used in conjunction with a neutral colour palette. 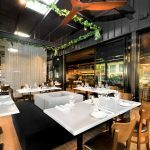 Bespoke booth seating, built in house at our factory, lines the exterior of the dining area. 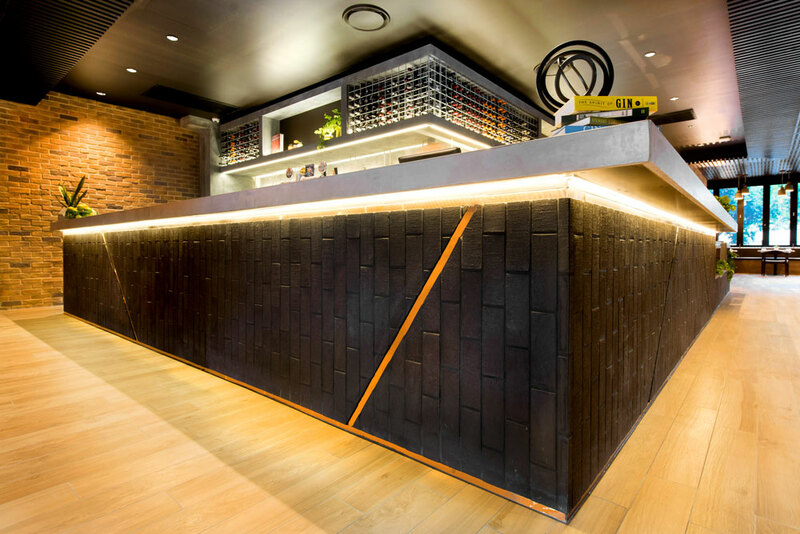 The bar being a statement piece with its polished concrete top. 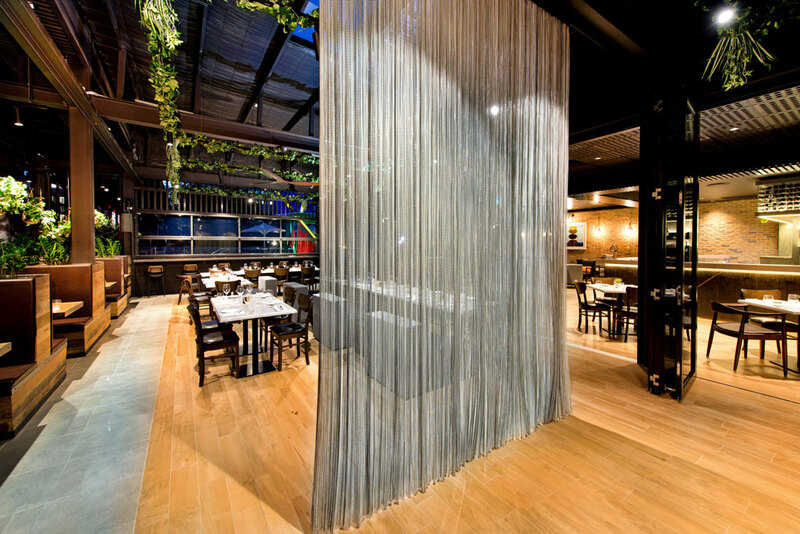 Motorised blinds line the wall for when the elements aren’t favourable and floor to ceiling mesh curtains help soften the space. 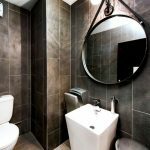 We did it all with this one! 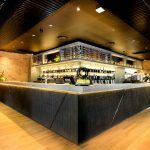 From the interior fitout right through to the supply all of the equipment and furniture, both custom pieces and standard items along with some of the design pieces.